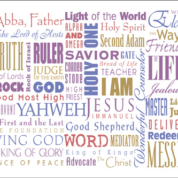 Statement of Faith | Soul Care Ministries International, Inc. | Soul Care Ministries International, Inc.
Vital to our ministry is our faith in God – One Lord (Father, Son and Holy Spirit), one faith (Unified by the Body of Christ) and one baptism (Holy) (cf Ephesians 4:5). We value the bible and all that is declared in the Bible (Old and New Testaments) as the foundation, final authority and ultimate model for ministry, business and faithful living (cf. 2 Timothy 3:15-17). We believe in the personal return of Jesus Christ, the eternal damnation in a literal hell for the wicked, and everlasting life with the living God for the righteous. We believe that there is but one head of the Church, the Lord Jesus Christ, and that it is the responsibility of the Church and its institutions to maintain His Lordship over their activities and not submit that right to any individual, corporate body, governmental agency or head of state, as long as we conduct ourselves as ambassadors of Christ and live as lawful citizens.